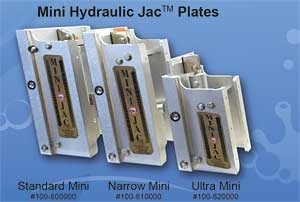 Mini Jacs come in three models: The standard version weighs 28 pounds and has same dimensions as BMS's regular jack plates. 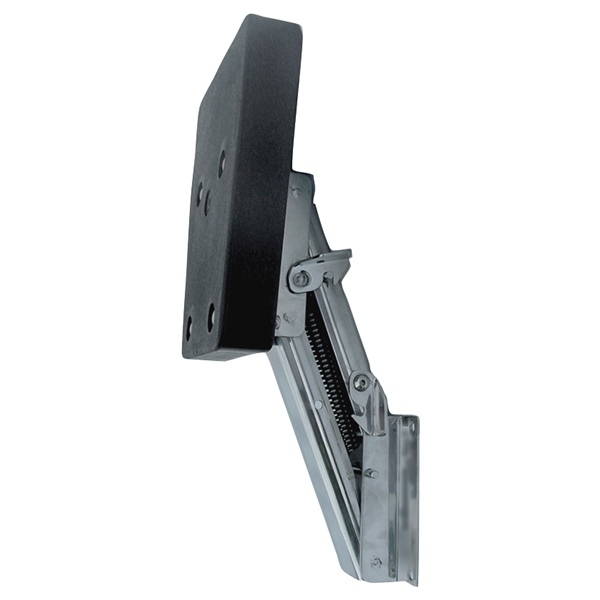 It fits the standard BIA bolt pattern and provides 6" of hydraulic lift. Bob's Machine Shop's jack plates use hi-tech bearings that will not absorb water. They also feature automobile-type grease fittings - a unique feature among jack plates. All BMS hydraulic pumps are mounted inside the boat to lower the overall weight on the transom and minimize exposure, especially in saltwater. The Mini Jacs come with a mfg lifetime warranty. Designed for motors up to 50 HP that have the standard BIA bolt pattern. Designed for micro skiffs or boats with mini transoms.